Eldon was been instrumental in creating PFLAG groups all over the Atlantic Provinces. 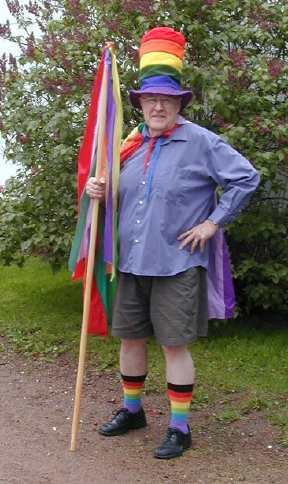 In 2004 he was Halifax PrideWeek Grand Marshal. In October, 2004, he was invested as a member of the Order of Canada in Ottawa. The citation read at his investiture reads: ; :With intelligence, integrity and compassion, this human rights activist has championed a more tolerant, inclusive society. Professor Emeritus of religion at Mount Allison University and a United Church minister, Eldon Hay has provided determined leadership to PFLAG, a support group for parents, families and friends of gay, lesbian and bisexual persons. The first president of PFLAG Canada, he also leads local chapters in Atlantic Canada, where he is highly respected for his thoughtful perspective on the issue of human sexuality. A pillar of his community, he has made a lasting impression on the lives of his students, parishioners and the community at large.